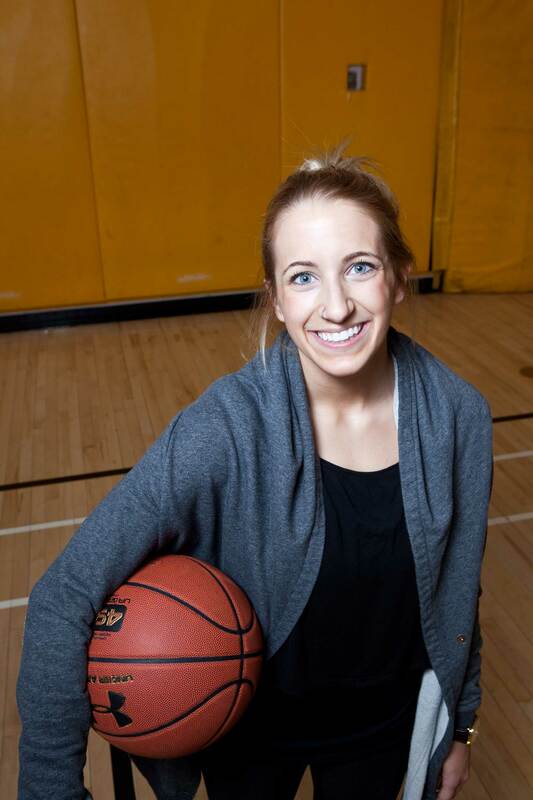 Amber Hillis’s tenure as a Wilfrid Laurier women’s basketball player was anything but easy. In five years, the 5’3 point guard sustained numerous injuries, including a torn disc in her back that stopped her from playing the majority of her third year. So when Hillis was honoured as not only the Ontario University Athletics’ (OUA) recipient, but also the Canadian Interuniversity Sport (CIS) recipient of the Tracy MacLeod Award, it made the last five years of pain worth it. “I went through so much with injuries, to finally kind of be recognized for it and people get an idea what it was like for me going through it, it feels like a good accomplishment,” Hillis said. The Tracy MacLeod award is given to a female basketball athlete that portrays endless determination and perseverance. Throughout her time as an athlete at Laurier, Hillis has continuously been plagued by multiple injuries. She also becomes the first Laurier player to win the award since it was introduced in the 1996-97 season. Beginning in her second year on the Hawks, the five-year starter sprained her ankle and was on crutches for a week. However, Hillis said she didn’t miss any games, just a week of practices. The following summer, going into her third year, Hillis separated her shoulder playing Ultimate Frisbee. The worst injury of Hillis’s career came within her third year at Laurier, when she was hospitalized with a serious back injury. It was found that she tore a disc in her back, forcing her to miss the majority of her third year. After some therapy and rehabilitation, she returned for Laurier’s 2010-11 playoff run, where the basketball team had their best-ever finish. The pain in her back, however, came back and forced her to miss a few games in her fourth year. After she went through therapy and strengthening, Hillis sustained another minor ankle sprain before getting concussed at the end of the 2011-12 season. The concussion was so severe that Hillis was forced to miss out on the Hawks’ 2011-12 playoff campaign, where the team made it to the OUA West semifinals. They defeated the Guelph Gryphons in the quarterfinal at home before traveling to Brock, falling 72-53. While she was in the stands for the semifinal, Hillis was unable to watch the quarterfinal from the bench. Hillis finished her tenure at WLU this season by playing in all 21 games, contributing 7.9 points, 2.9 rebounds and 2.1 assists per game. This ranked her ninth in all-time scoring, third in all-time steals and assists and fourth in minutes played. Despite the excessive injuries, Hillis said that a lot of the motivation to stay positive came from her team.